An exhibition of previously unseen work by one of Britain’s most influential post-war designers is coming to Birmingham. 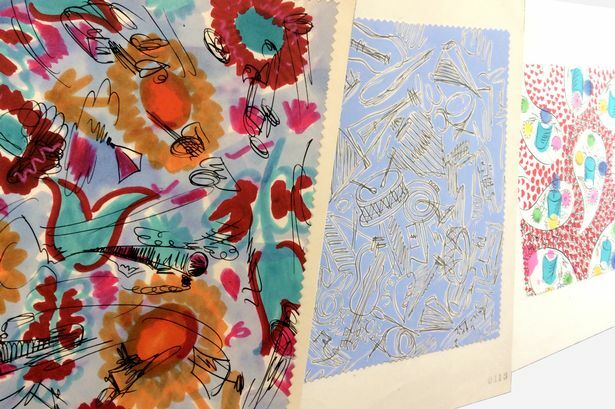 The exhibition of Tibor Reich textile designs at Birmingham City University celebrates a long relationship between the Reich family and the Midlands. Born in Hungary in 1916, Reich fled the Nazis before the outbreak of war and settled in Stratford-upon-Avon in 1946, establishing Tibor Limited at nearby Clifford Mill – creating a world famous micro-textile industry in the heart of Warwickshire. He went on to design for the Queen, the Festival of Britain, Royal Yacht Britannia, RSC, Downing Street, QEII and Concorde and won a Council of Industrial Design Award in 1957 and Textile Institute Award in 1973. Reich enjoyed great success at his height in the 1950s and 60s, producing both woven and printed furnishing fabrics. The exhibition will show each decade of Reich’s development, from his arrival in the UK to his heyday, and on to a final explosion of colour in the 1980s. Mr Hall added: “The 1950s section of the exhibition focuses heavily on his ceramics, and in the 60s we move into more lineal drawings. This was a prolific time. He was drawing constantly. The exhibition came about after a Birmingham City University graduate did a placement with the recently resurrected Tibor Ltd company, which has been taken over by Tibor Reich’s grandson Sam. The exhibition ‘Tibor Reich Drawings’ launches on Monday, April 13, and runs until May 29.